A promo page is one of the most effective types of presenting information about the services, products, and projects of InstaForex Company to attract new clients. 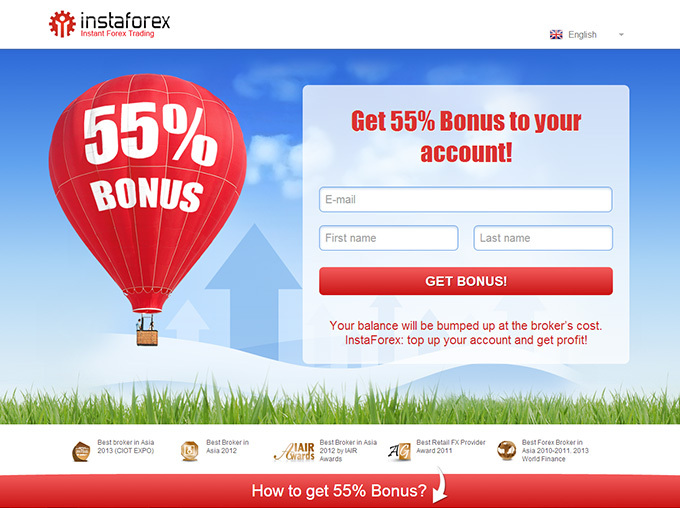 The patterns, that you can find below, are developed by the specialist of InstaForex especially for the partners, they comprise the links to the official website of InstaForex and related resources, application form of opening a demo account, short list of the company’s advantages and a presentation of one of them. For each promo page there are links for imbedding them into various web resources. You only have to insert your unique affiliate code in the URL, and every person opening the promo page will register a real account and become your referral. Want to start trading in the currency market, but don’t want to risk your money? We will help you trade efficiently with minimum risks and no spending! High inflation, growing food prices, political instability and a weakening national currency devalue your savings over time. However, you can multiply your money instead of losing it if you manage your funds wisely. We have always had our finger on the pulse giving our clients and partners access to all recent innovative services and products. ForexCopy enables traders to copy orders of successful Forex market participants. Follow profitable strategies and decisions of the leading traders! InstaForex system of PAMM accounts is a reliable way to invest funds in other traders’ deals with no restrictions. 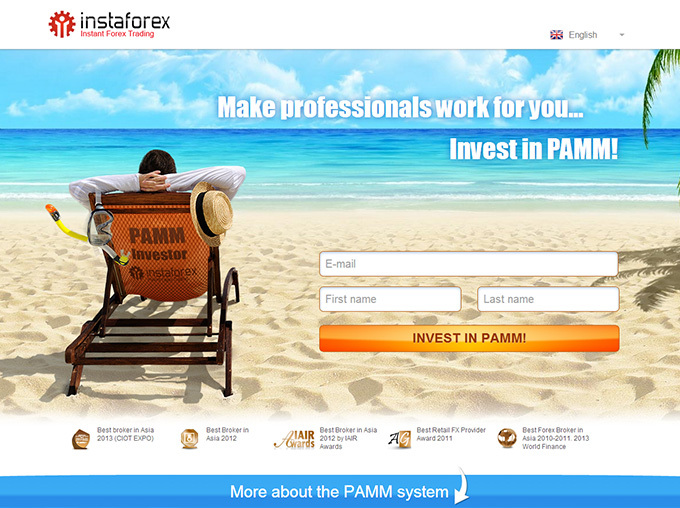 Every user of the PAMM system can make a profit free of risk by attracting investors. 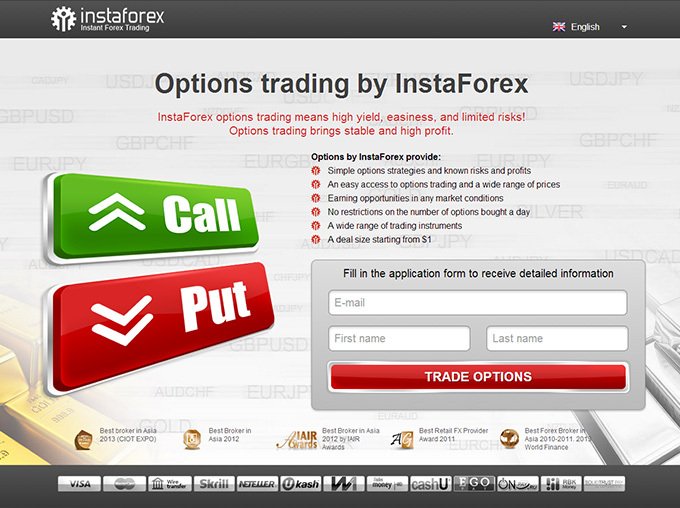 Options trading with InstaForex means high profitability, simple rules, and limited risk. We offer you the excellent opportunity to have steady earnings regardless of market conditions. 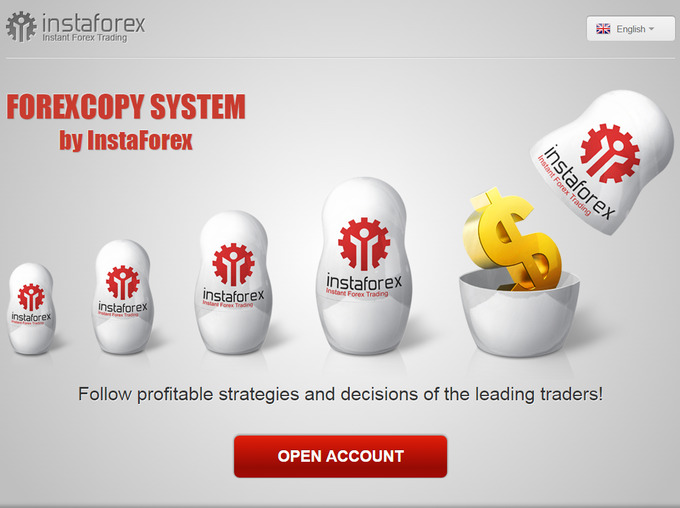 ForexCopy is a unique service of copying trades of successful traders online. After having registered with the service, InstaForex clients can follow gainful trades applying their knowledge in practice. 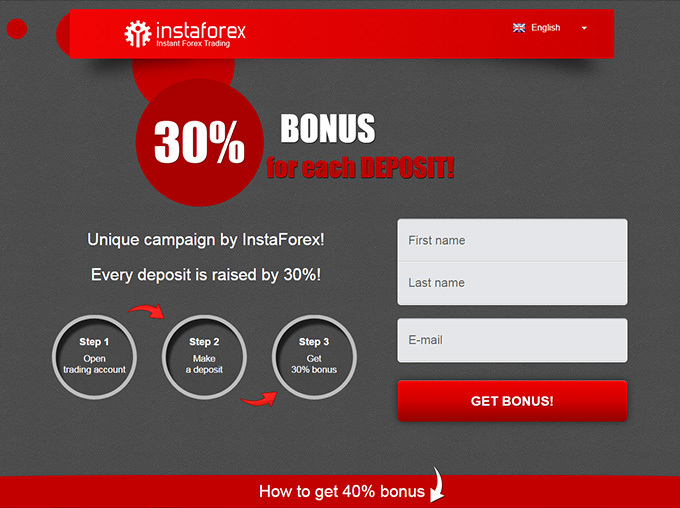 InstaForex clients are provided with the unrivalled opportunity to enlarge a deposit at the broker’s expense. You need just to open a live trading account and fill in the application form requesting to credit your account with 55% of its deposit amount. You can also find available banners stylized for this page. To obtain them, you need to press the button "Get code". A welcome 30% bonus is easily available for your benefit. Every client who has joint InstaForex can make use of this service.